A California girl exploring the world for adventure, food and fashion. 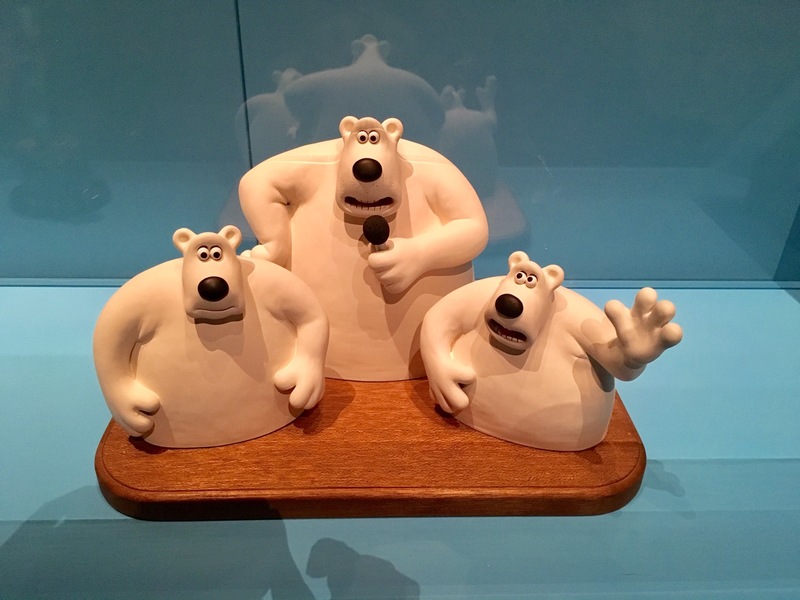 I find myself to have been fortunate enough to grow up watching “Wallace and Gromit and friends”. Therefore, when I saw that an entire exhibition was showing at the Academy of Arts Center in Federation Square I knew I had to stop by. The best part is its been extended until January 29,2018. 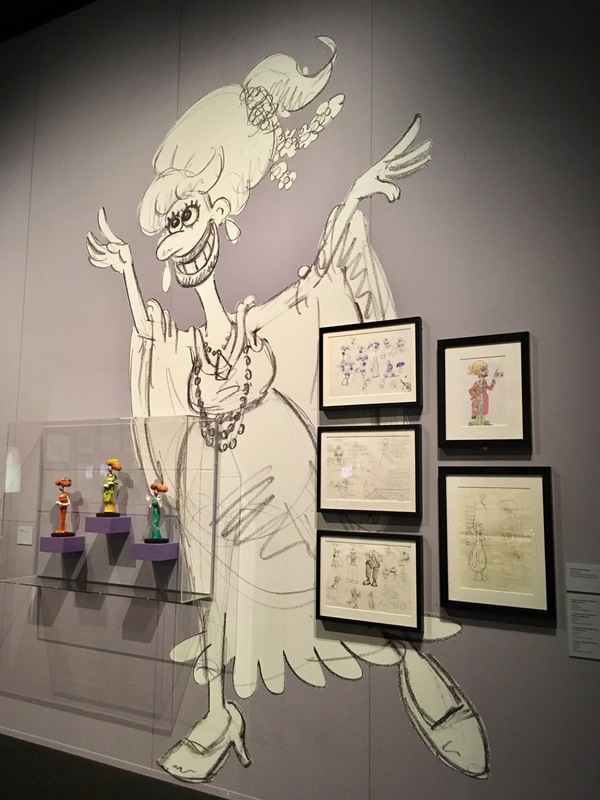 The exhibit had a great layout, very easy to walk through, and I loved that it was placed in the lower gallery, it was almost like falling down the rabbit hole and ending up in the wonderful colorful world of Aarvark. 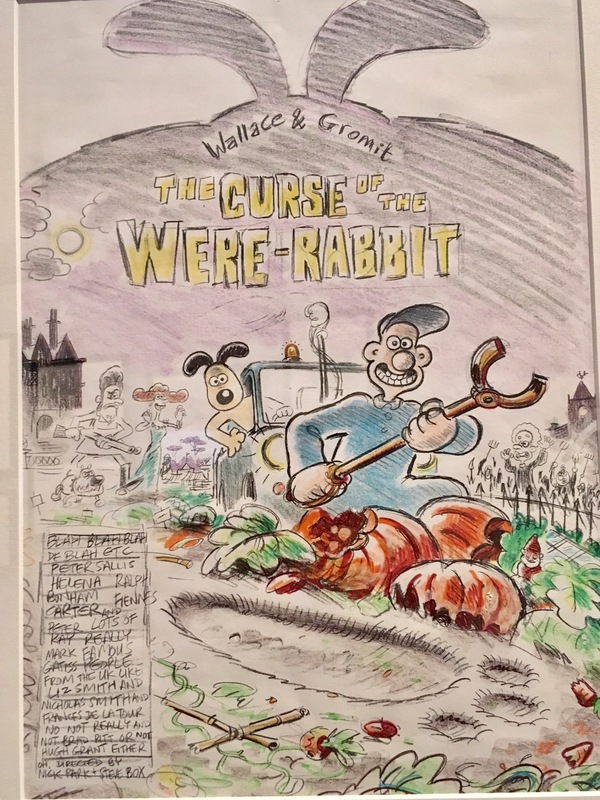 It starts you off with “Creature Comforts” and have the Academy Award won in display. 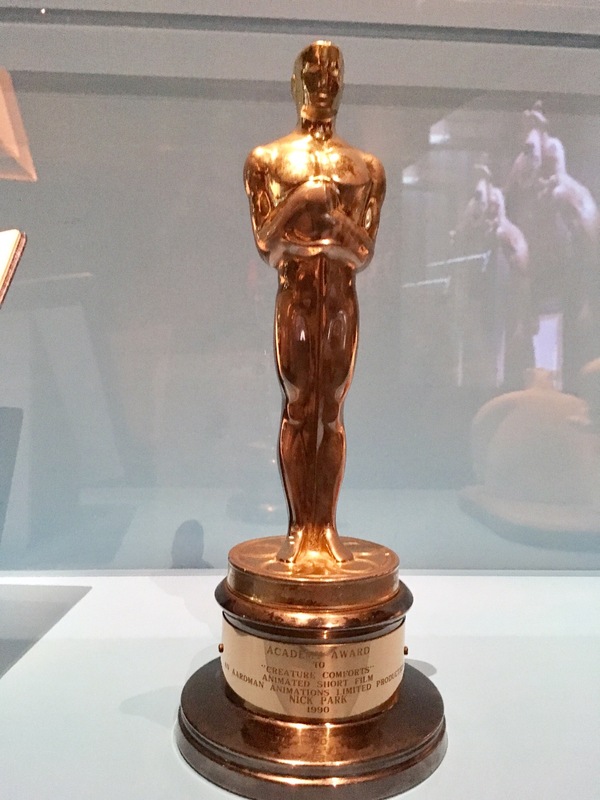 I have never seen one up close, and I come from the land of Award season. Looking at it close up, it makes you think about what it means to so many people in the arts. 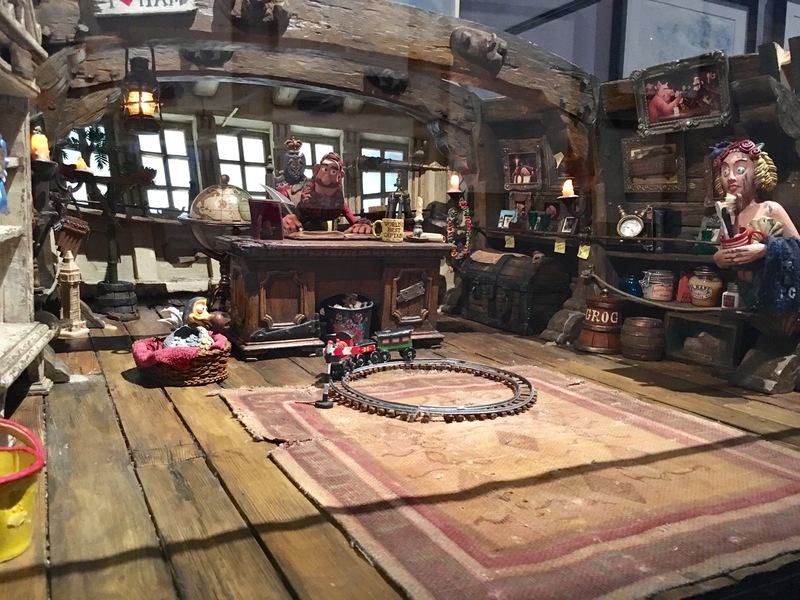 There were many sets that were used from different movies. 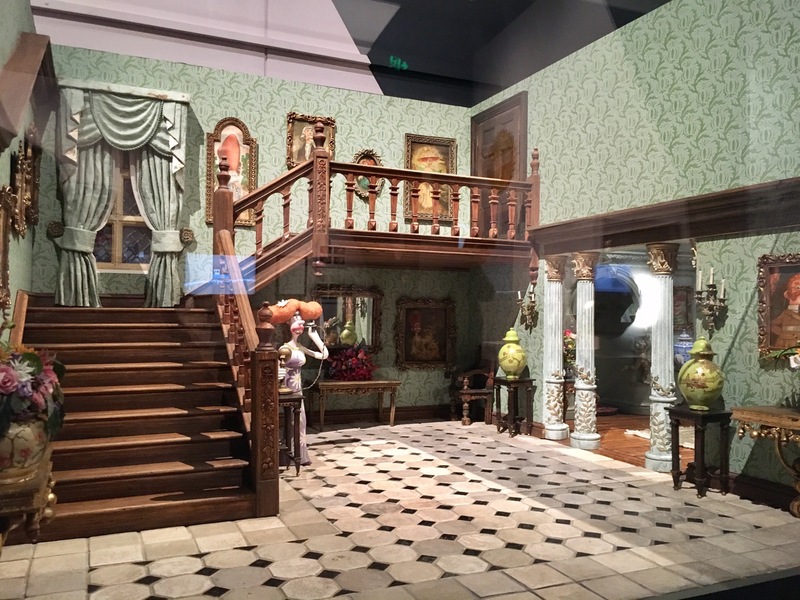 They were by far my most favorite items to look at, they reminded me of doll houses and they were so intricate and detailed. These sets would take up to six months depending on the size. 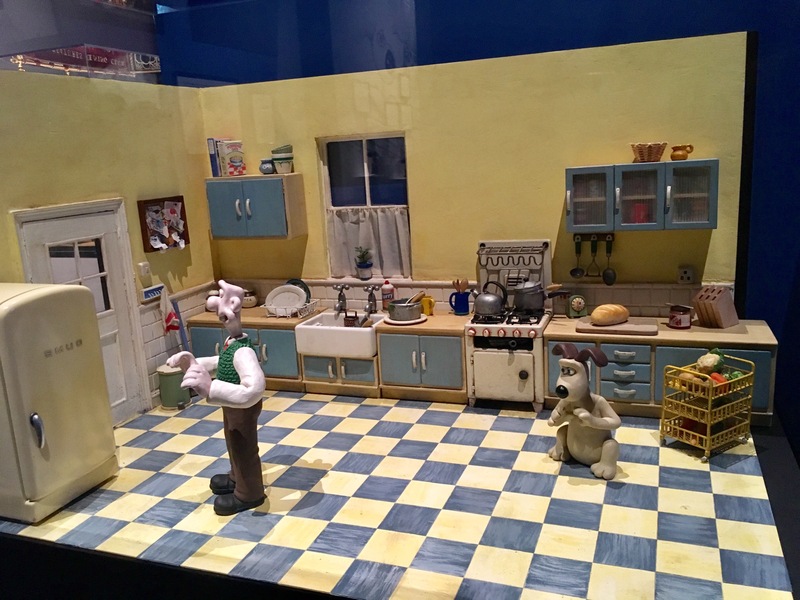 Wallace and Gromit’s Kitchen “A Matter of Loaf and Death”, 2008. 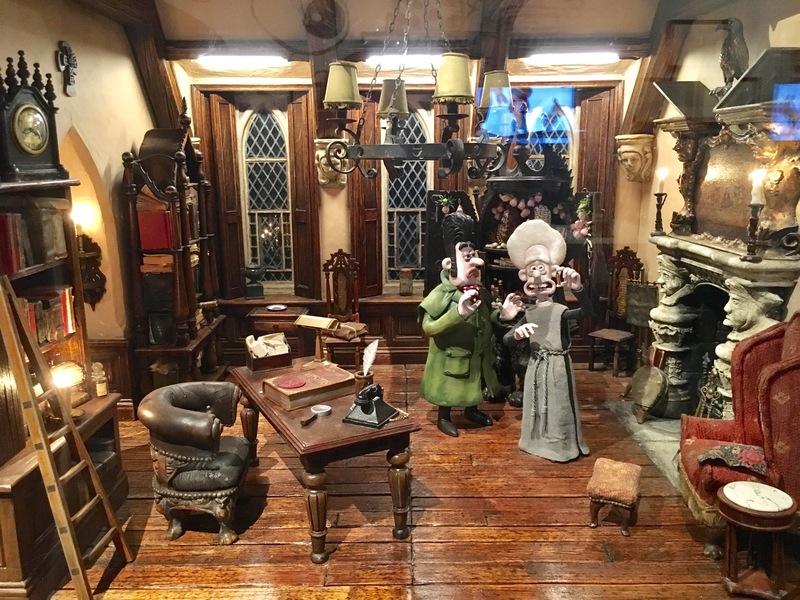 Each movie or short film they made had a very detailed section, from tools they used, props, drawing ideas, heaps of sketches, videos, music, sound and even some of the models themselves. The place was interactive, it had a few peep holes where they would play a few short movie clips. I really enjoyed the large wall painting and stencils that would represent the theme of that wall. 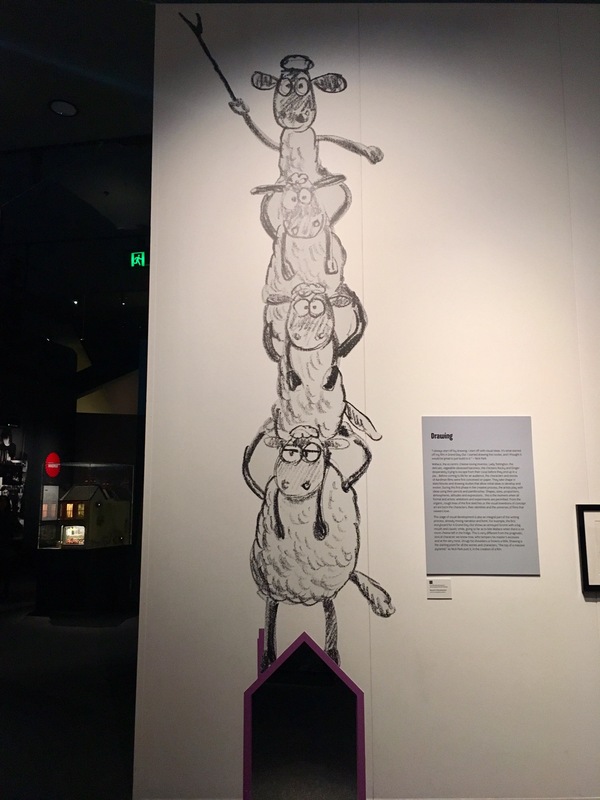 I loved how educational the exhibit was, if you ever wondered how they did these films. It filled your head with wonder and amazement, when you see how they made these movies. 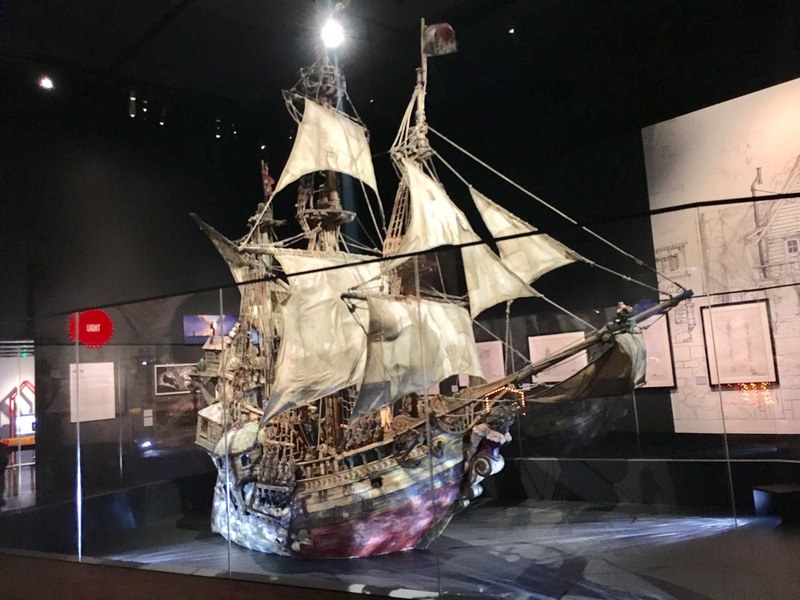 Walking around the exhibit you get to see this full on pirate ship. 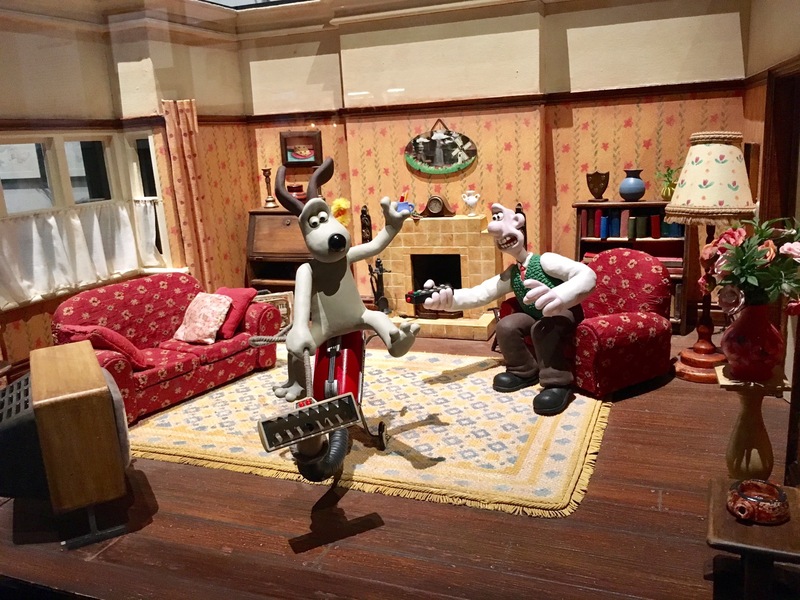 I highly recommend to check out the Wallace and Gromit exhibit the ACMI before it leaves January 29 2018. For more information visit ACMI website. I left feeling like I needed to go home right away and watch one of the films, which I did.